Local ownership is a concept that is fundamental to our work at INASP- in fact it’s more than a concept, it’s a principle that informs everything we do, and that we strive to ensure every day. I was reminded of this during recent discussions at our 28 June Publishers for Development meeting in Oxford. Here I want to suggest one way we can bring an appreciation of ownership to bear on our work in supporting access to research. Because as innumerable examples have shown, solutions which are not owned, which are developed from outside and then imposed on a country rarely work in the long term. They may enjoy some early success, but often crumble – either because they don’t work, or because no-one is invested in them even if they could. From ambitious public sector reform programmes, designed by World Bank experts, which tried to make African governments ‘work’ like European or American ones, to wells dug in rural villages, but with no money to repair them, or no-one trained to maintain them, there are plenty of examples of where imposed solutions failed. 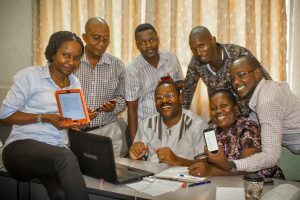 In many developing countries, some type of library consortium has been formed, a group of university, research and other libraries, in order to pool funding and collectively purchase journals and other resources. Research and higher education systems are expanding and require access to a huge volume of online journals and books if they are to support research and education in a whole range of disciplines. There is pretty impressive access in many countries (as I’ve written about before) but journal collections grow (as publishers introduce new titles), and the mechanisms of securing access become more complicated as countries move out of philanthropic schemes into dealing directly with publishers on commercial terms. For clarity I’m talking principally here about commercial publishers – which is not the only business model. It’s frequently observed – by both consortia and publishers – that there isn’t enough money to go round. Consortia are forced to make tough choices about what resources to buy, and what they have to do without. And publishers are frustrated that sales don’t materialize after extended negotiations. 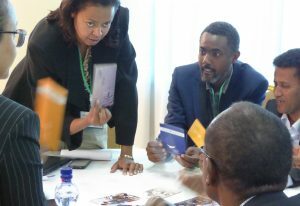 Consortia are limited by the funding they can pool – drawn from the budgets of their institutional members – and know they need to engage governments to invest more in essential information. They also know they need to get a price which they can afford, now and into the future. But they often struggle to build those relationships, or to make the case to government where that’s appropriate – not surprising when they’re often volunteer led, and officials are hard to engage. Publishers too want to see greater investment by government. It’s a way to increase the pot – which enables more to be purchased – and in doing so increase the likelihood of sales. While the core mission is to extend access to scientific knowledge through publication, for a commercial publisher business means sales, and sales mean revenue. Publishers’ sales teams often have a fairly sophisticated marketing and communications infrastructure behind them. In many cases they’ll have a travel budget for a number of visits to, and within, a country, as well as a modest budget to host events to bring people together. So it’s relatively easy for them to set up meetings with government – especially with the right introductions – and arrange a series of presentations. Faced with a consortium who’s struggling to do this the publisher says, “Let us bring government in, and persuade them to invest. We’ll keep you updated with progress, and of course we’ll invite you along. And once we’ve got the deal, you’ll be a critical implementing partner – to set up access, train users”. The consortium feels frustrated; squeezed out. They are made an observer, at best a participant, in a process which is critical to them and to their mission; one which they came together to solve when no one else was. Relationships fray. But there’s another way which isn’t too far off, which could actually enable genuine ownership, and bring to bear the expertise and the resources of publishers willing to invest. It starts a bit differently. The publisher talks to the consortium. The consortium explains their difficulties. The publisher suggests they might be able to help. “We’ve got the data”, they say, “and we can invest some time and money in helping you with your advocacy. We’ve learnt quite a bit about how to do it well over the years and how to explain the value of investing in research, and information access as part of that”. If publishers want to work with developing countries to advance research for development, they need to play a supporting role, not try to lead. You can access all presentations from the PfD June meeting on the website. Registration for the meeting on 13 September is open here. I quite concur with Jonathan’s suggestions. It is vital for consortia to own the processes of providing access to research information. And publishers must respect that ownership and not side-swipe consortia as they seek to seal lucrative deals with Governments and involve librarians post-event. I think the idea of working together with Government in dealing with publishers who want to offer products and services is positive. The involvement of Government officials at the just ended 28 June Publishers for Development Conference is a case in point. Such fora helps to elucidate on Government officials the positives of collaborating with consortia when they are approached by publishers. But the ball needs to be kicked first by consortia. Our work must be known and well appreciated by Governments. We must identify champions in Government that we can work with on these issues, who will help advocate on our behalf on critical issues such as the need for resources to subscribe to database platforms. In our case, the Government Official whom INASP invited to the conference, is already highly perceptive and appreciative of the importance of our work in providing access to research information. He is agreeable to consulting with us when publishers approach government with products for sale. We have built a close working relationship with the official over the years and this has helped us tremendously. But this is only one Ministry! We need to have many such officials, such champions in various other ministries who might be approached by publishers. This is where the advocacy work for the consortia is essential. Depending with each country, such relationship building with Government Officials may take various forms and approaches. CEARL, for instance, has built remarkable relationship with Government Officials. And we need more consortia in Africa to do the in all regions. Ultimately, having a common position or policy statement adopted by various policy-making and research-focused regional groupings might be the way forward, e.g. working with the Association of African Universities (AAU) or the Southern Africa Regional Universities Association (SARUA). This way, we may be able to establish a common position to deal with publishers who may want to side-step consortia. And our government champions can drive this agenda where Government Officials are involved with these regional policy bodies. On the other hand, the issue of funding becomes also critical in this ownership debate, as Jonathan posited. Where consortia invariably rely on their parent institutions, and the latter in turn on Government for funding, publishers would undoubtedly prefer to go straight to source of funds with their products. One issue that we recently discussed at our recent Consortia meeting, which I am sure other consortia may want to discuss further, is the possibility of – for want of a better word – ‘offloading’ the funding responsibility to Government and consortia focus on, in consultation with researchers and academics, the identification, selection and submission of lists of suitable e-resource platforms for funding by Government. Consortia will continue to manage the subscription process, communicating with publishers but the Government holds the purse. The danger though with this approach is where the resources may be susceptible to being channeled to other seemingly needy areas! But, let us hear what others say.